In the past, Google really put a lot of focus on the links and link quality of a website. These are still important but it is useful if you would think about the different factors when doing SEO. Google has continuously done a lot in making the experience for its users better for search results. It should be important to you to look at how Google has developed its search over and over to make it possible to market and create content and how you should think about links. The page rank algorithm will count on the number of links that point to the site in question. The idea behind this is that the most useful sites will get the most links. In this day and age, pagerank will assess the quality of the links. 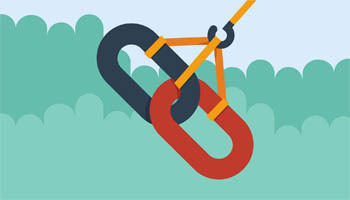 A link that’s from an authoritative website will be worth more than a couple of links from sites with low quality. Google was tired of the exploitation that was going on and the effect it had on search results; they took action in April 2012. This new update was focused on improving the quality of the links. This algorithm was made better to make sure that sites spamming the search results were penalized. This link was made better to uniquely identify webmasters who were buying links for their sites. This is another update that focused on filtering the search results and it was launched at around the same time as Google penguin but the Panda update was made to focus more on the web content. This signalled that quality was of great importance. This update is made at intervals’ if your site loses ranking after a panda update, you have a chance of getting into the good books when the next update happens. This update focuses on speed and precision. This focuses on making Google better at determining the intent of the user and the meaning behind this is the words in search queries. This update is meant to make Google examine every word in a search and take into account to individual words and phrases.